Maddi is using Smore newsletters to spread the word online. Physiological Needs- These are your basic life needs. Such as hunger and thirst. Safety Needs- Your safety needs are the feeling that you get when you're out of danger, you may feel a sense of security. Belonging Needs- Belonging needs include family, its the feeling you get when someone loves and accepts you. Esteem Needs- These are your social status needs, or your reputation of what other thinks about you. Self-actualization- This need is to find self-fulfillment and your personal growth. 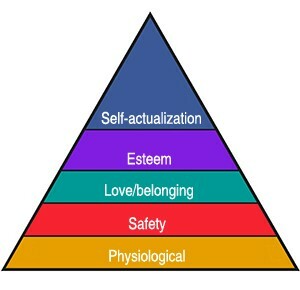 Maslow was born April 1st, 1908 in Brooklyn, New York. Soon after in 1930 Abraham Maslow married Bertha Goodman. In 1930 he received his bachelors degree, in 1931 and earned his masters, and finally in 1934 he got his PhD. He went to school at the University of Wisconsin. He soon went back and worked at the Brooklyn college until he died on June 8th, 1970 of a heart attack. Maslow worked with monkeys to help prove his theory. He noticed that some needs are stronger than others. For example if you are hungry and thirsty then you tend to get water or help the thirst before getting food. Therefore thirst is the stronger need. This is showing how you try and meet your needs. Boeree, Dr. C. "Abraham Maslow." 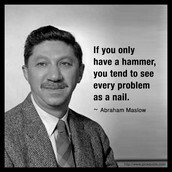 Abraham Maslow. N.p., n.d. Web. 16 Feb. 2015. McLeod, Saul. "Maslow's Hierarchy of Needs." Simply Psychology. N.p., 17 Sept. 2007. Web. 11 Feb. 2015. 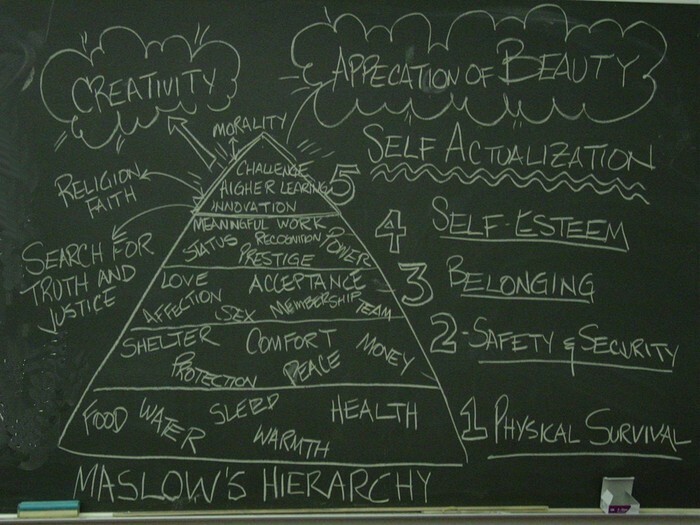 "Educational Psychology Interactive: Maslow's Hierarchy of Needs. "Educational Psychology Interactive: Maslow's Hierarchy of Needs. N.p., n.d. Web. 10 Mar. 2015. "Related Materials." Abraham Maslow's Hierarchy of Needs and Diagrams of Maslow's Motivational Theory. N.p., n.d. Web. 10 Mar. 2015. Villarica, Hans. "Maslow 2.0: A New and Improved Recipe for Happiness. "The Atlantic. Atlantic Media Company, 17 Aug. 2011. Web. 10 Mar. 2015. "Transpersonal Pioneers: Abraham Maslow - Sofia University." Sofia University. N.p., n.d. Web. 10 Mar. 2015. "Pix For Abraham Maslow Family." Pix For Abraham Maslow Family. N.p., n.d. Web. 10 Mar. 2015.